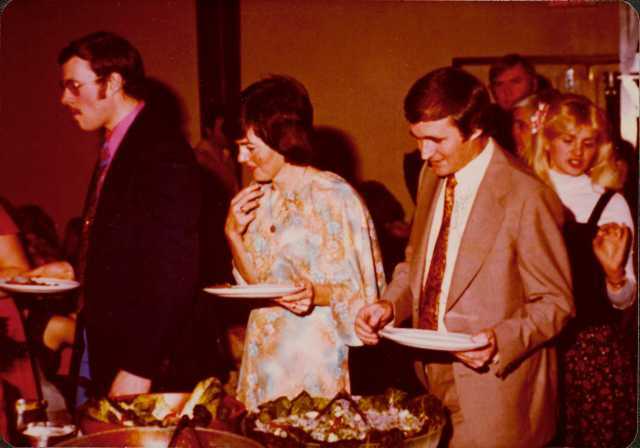 Photograph depicts Sue and David Pewsey to right of unidentified man in food line. Dishes in foreground, group in background. Photo information determined by individuals who contributed to Northern BC Archives Facebook Photo ID Project, contact archivist for more information in research file pertaining to this photograph.